Dan du Preez scored a crucial 75th-minute try as the Sharks claimed a 33-24 win over the Golden Lions in Saturday’s semi-final at Kings Park. CRAIG LEWIS reports. 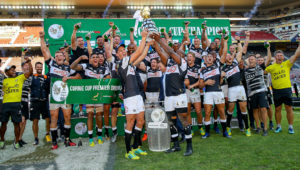 For a Currie Cup competition that has begun to lose its lustre in recent years, this enthralling contest served as the perfect tonic. The Sharks dominated the first-half proceedings and looked to have the game won, but then came a compelling comeback from the Lions, before Du Preez scored a wonderful try to seal the result for the home side. At 23-3 up just after half-time, the Sharks looked assured of a winning result. However, the Lions refused to give up the fight, and threatened to launch a remarkable comeback when a beautiful break from Lionel Mapoe set up a try to Nic Groom in the 55th minute. An incredible passage of back-and-forth play next saw Courtnall Skosan ultimately finish off an intercept try that suddenly saw the deficit cut back to just six points with 16 minutes still to play. It was all becoming a bit frenetic from the Sharks, and with the Lions beginning to play with renewed belief, a pinpoint crosskick from Elton Jantjies set up another try to Skosan. The successful conversion suddenly made it a two-point ballgame. At that point, the momentum was with the Lions, but the Sharks were able to turn to their dominant scrum to set the platform for Du Preez to burst away for the decisive match-winning try. On the balance of play, it was the deserving result. The Sharks had importantly established ascendancy in terms of possession and territory within the opening 10 minutes of this clash, while applying some real pressure at scrum time and at the breakdowns. Indeed, it was from a solid scrum platform that the Sharks executed a neat set play for Lwazi Mvovo to attack the tryline before putting Du Preez away to score in the third minute. Although the Sharks were always expected to rely on their power game among the forwards, they also displayed some real accuracy and intent with ball in hand, with S’bu Nkosi superbly finishing off a second try on the quarter-hour mark. 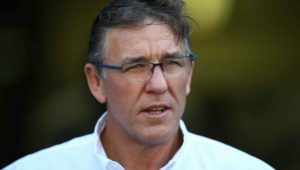 That score sent the Sharks into a commanding 15-0 lead, while the home team’s continued scrum dominance enabled them to dictate proceedings, with another penalty won at this set piece also allowing Rob du Preez to slot another three-pointer. The Sharks then enjoyed a dream start to the second half when Nkosi scored straight from the kick-off after the Lions had criminally failed to collect possession as the ball was held up in the wind. It seemed as if the result could only go one way from there, and despite the best efforts of the Lions, it was the Sharks who claimed their place in next weekend’s final. Sharks – Tries: Dan du Preez (2), S’bu Nkosi (2). Conversions: Rob du Preez (2). Penalties: Du Preez (3). Golden Lions – Tries: Nic Groom, Courtnall Skosan (2). Conversions: Elton Jantjies (3). 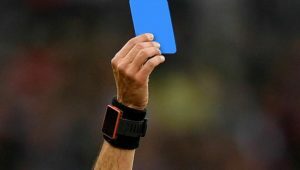 Penalty: Jantjies. Sharks – 15 Curwin Bosch, 14 S’bu Nkosi, 13 Jeremy Ward, 12 Marius Louw, 11 Lwazi Mvovo, 10 Robert du Preez, 9 Louis Schreuder (c), 8 Daniel du Preez, 7 Tyler Paul, 6 Jacques Vermeulen, 5 Hyron Andrews, 4 Gideon Koegelenberg, 3 Thomas du Toit, 2 Akker van der Merwe, 1 Juan Schoeman. Subs: 16 Chiliboy Ralepelle, 17 Mzamo Majola, 18 Coenie Oosthuizen, 19 Luke Stringer, 20 Jean-Luc du Preez, 21 Cameron Wright, 22 Leolin Zas, 23 Aphelele Fassi. 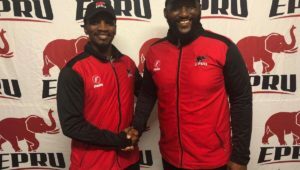 Golden Lions – 15 Sylvian Mahuza, 14 Courtnall Skosan, 13 Lionel Mapoe, 12 Howard Mnisi, 11 Aphiwe Dyantyi, 10 Elton Jantjies, 9 Nic Groom (c), 8 Warren Whiteley, 7 Pikkie de Villiers, 6 James Venter, 5 Marvin Orie, 4 Rhyno Herbst, 3 Chergin Fillies, 2 Pieter Jansen, 1 Sti Sithole. Subs: 16 Tiaan van der Merwe, 17 Danie Mienie, 18 Leo Kruger, 19 Vincent Tshituka, 20 Hacjivah Dayimani, 21 Dillon Smit, 22 Shaun Reynolds, 23 Wandisile Simelane.